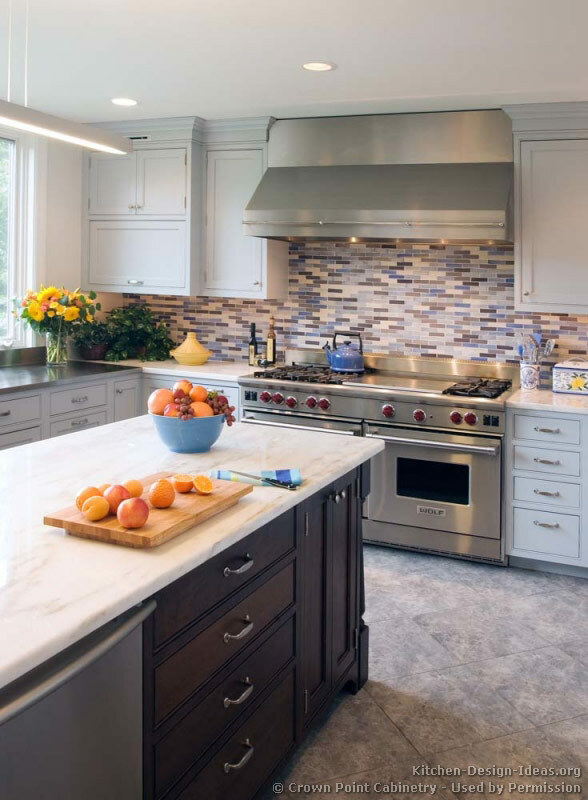 This transitional kitchen combines white cabinets with a blue glass tile backsplash, gray tile floors, and jet black countertops. 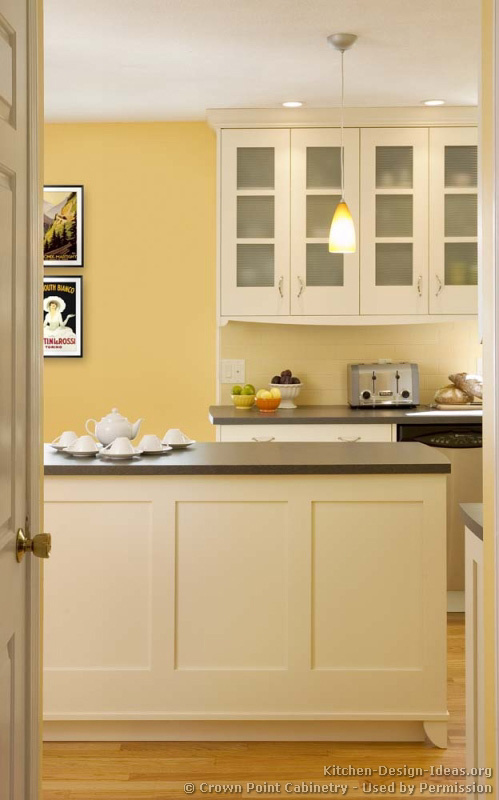 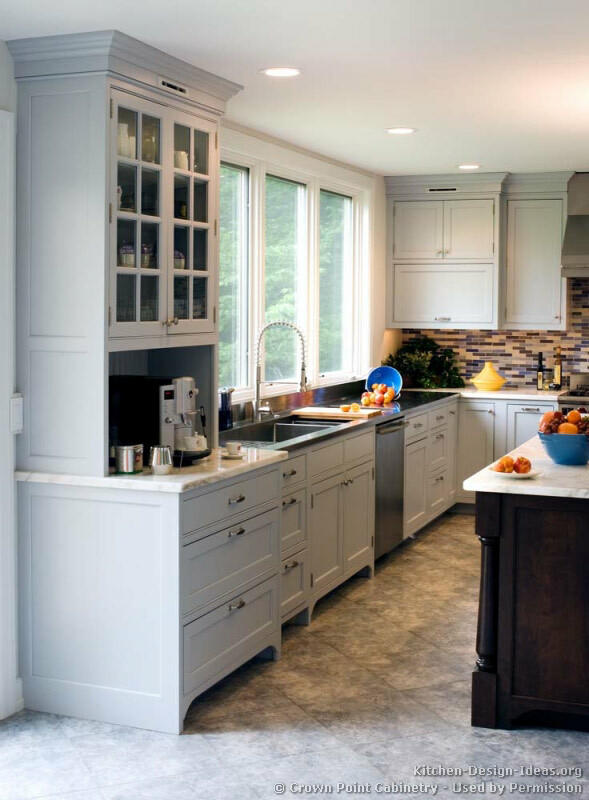 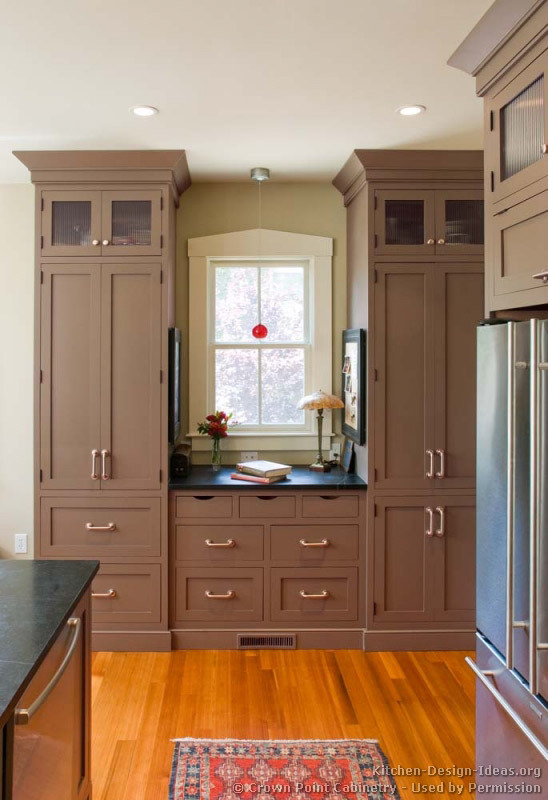 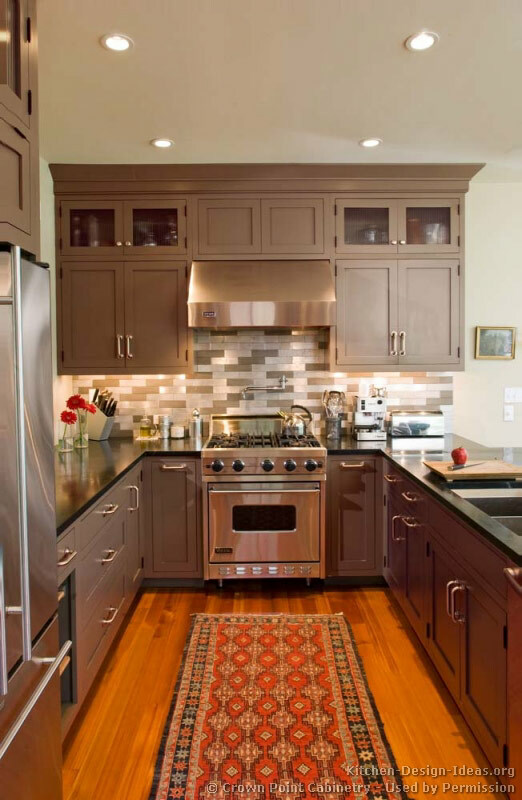 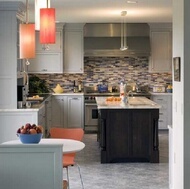 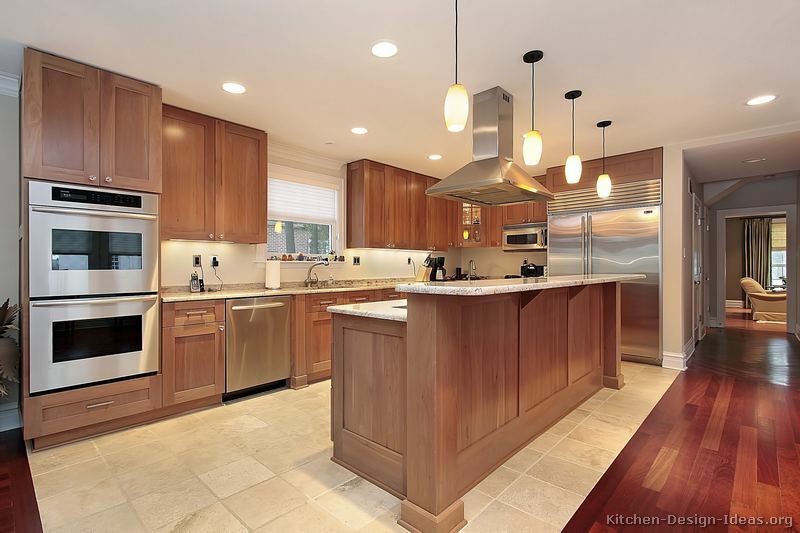 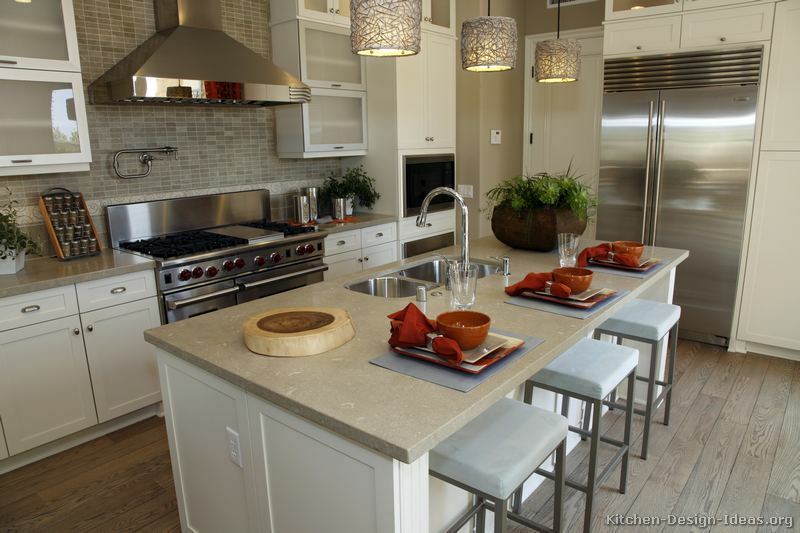 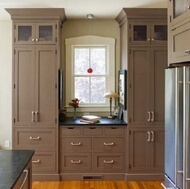 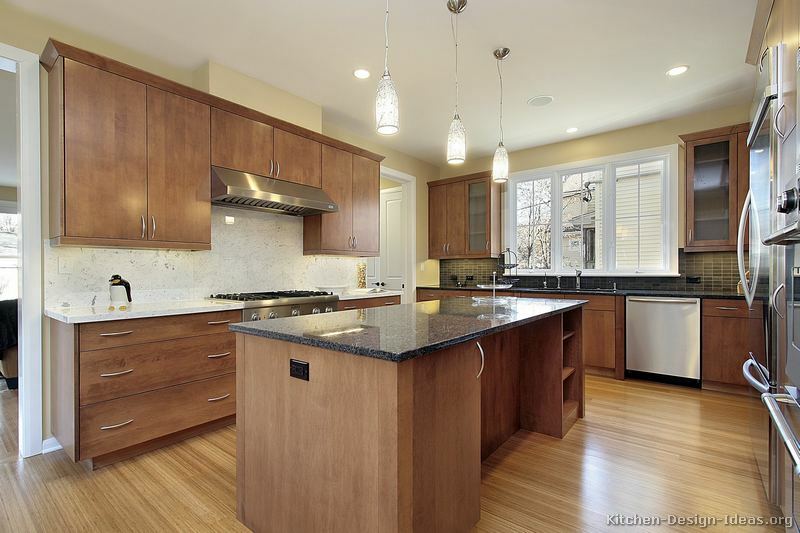 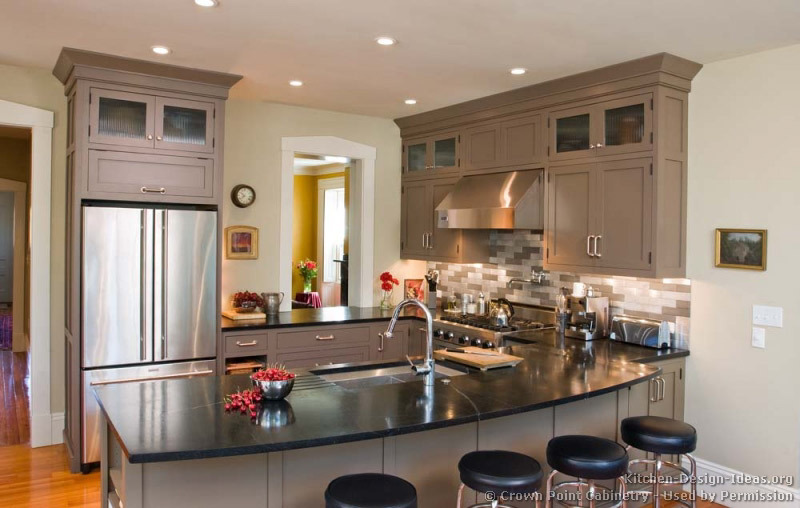 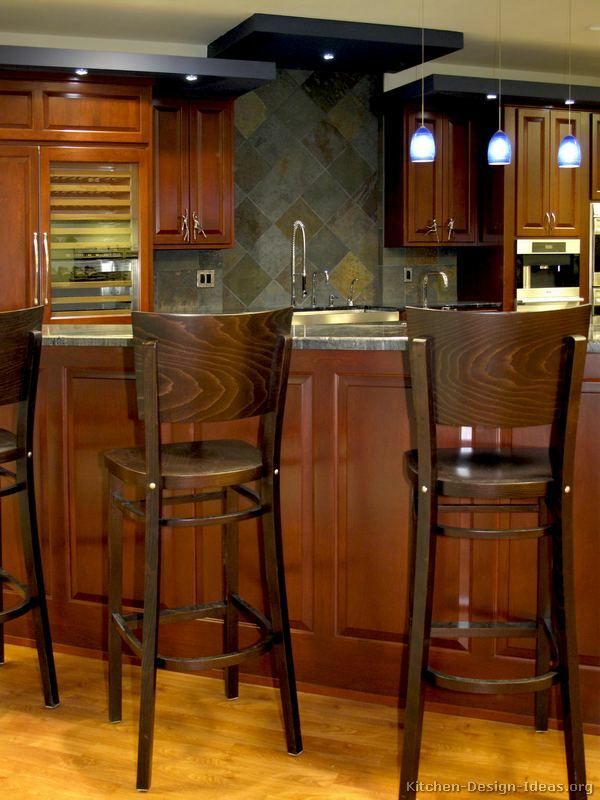 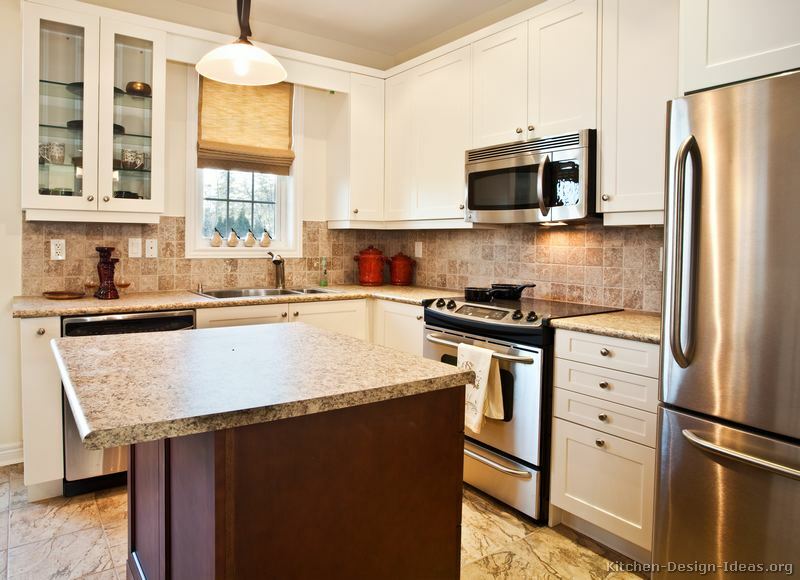 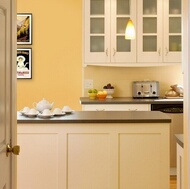 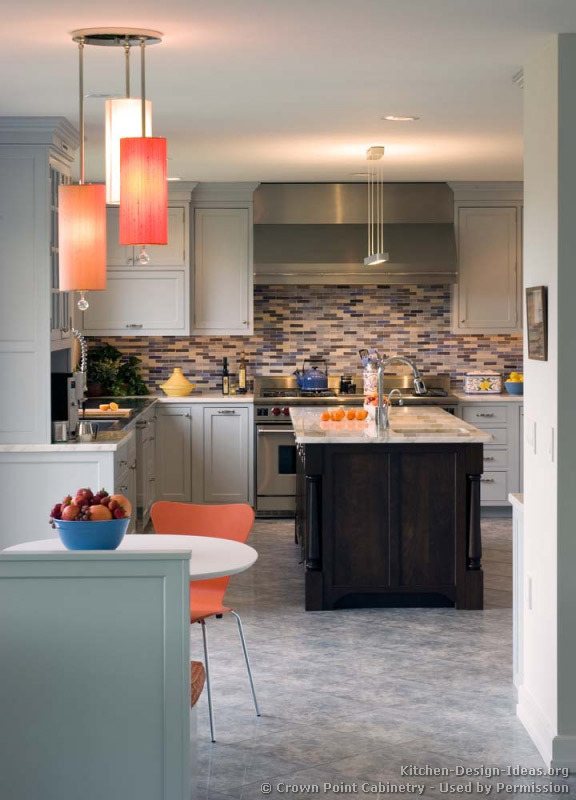 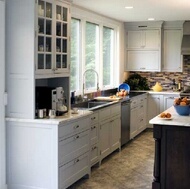 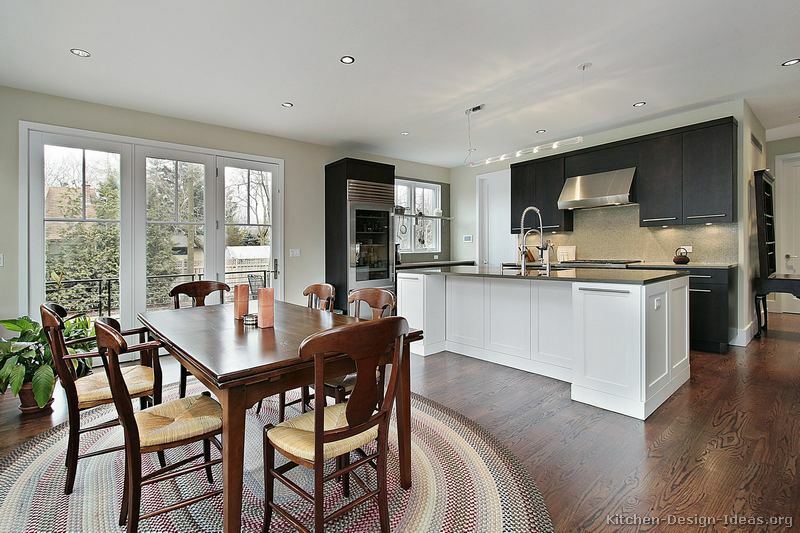 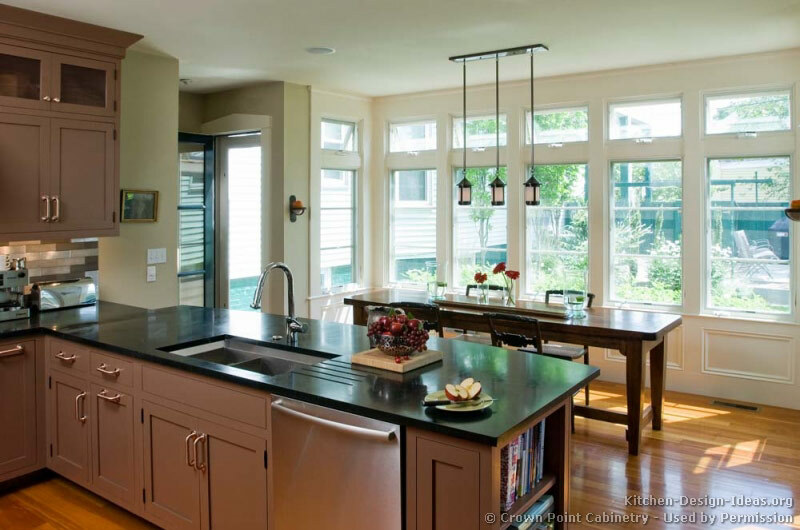 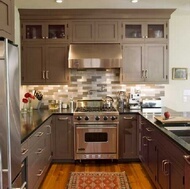 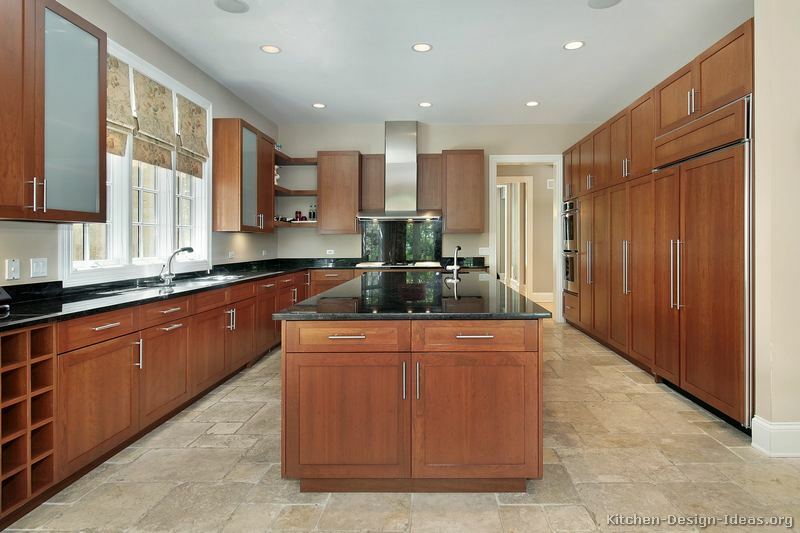 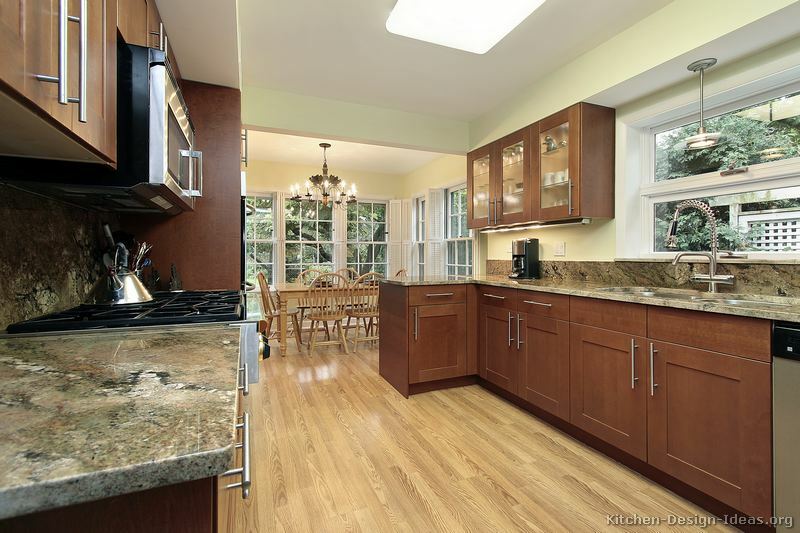 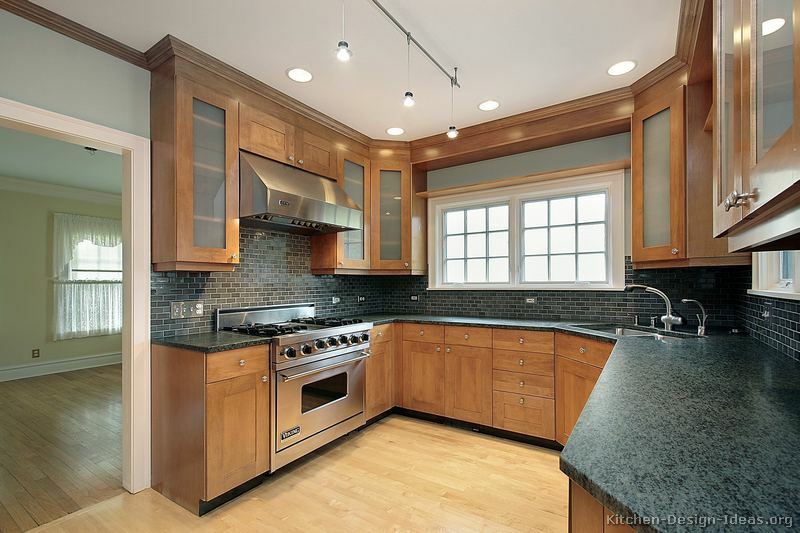 Shaker cabinet doors, simple crown moldings, and contemporary color schemes are telltale signs of transitional design. 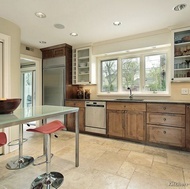 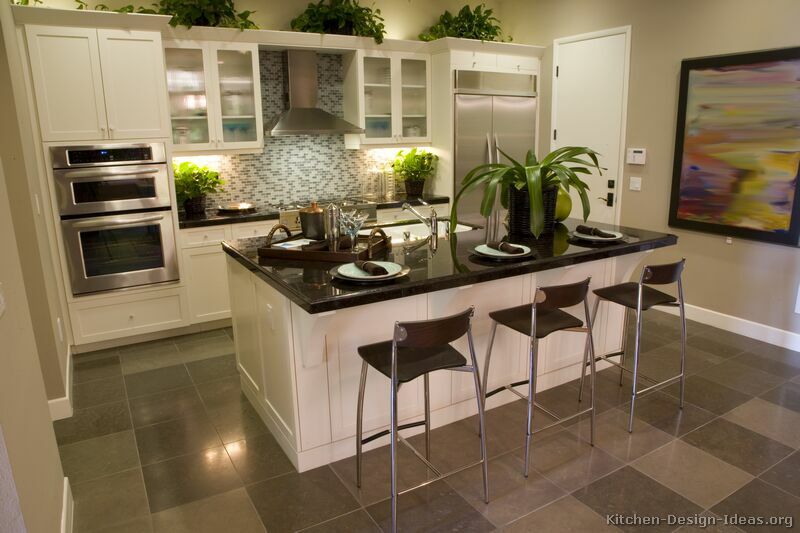 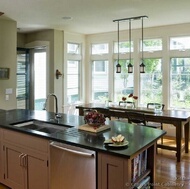 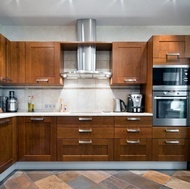 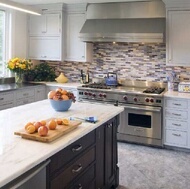 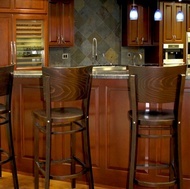 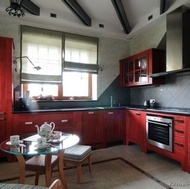 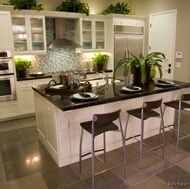 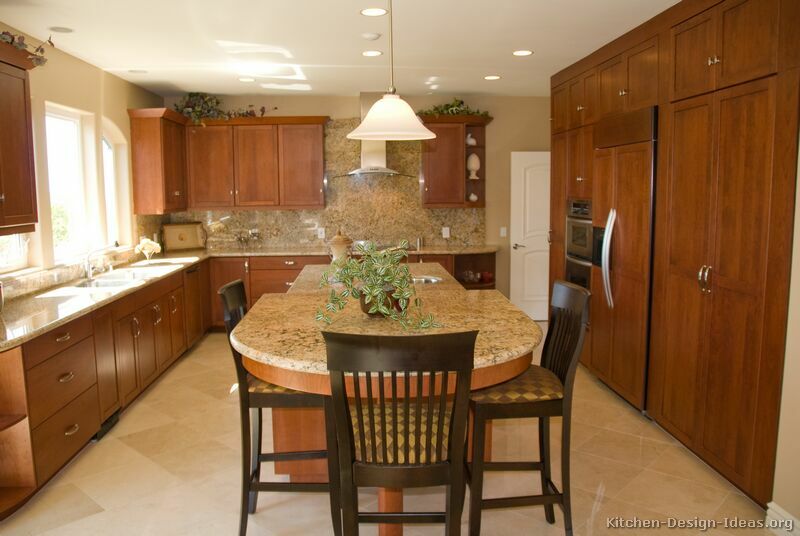 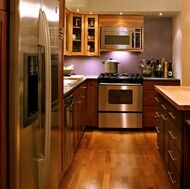 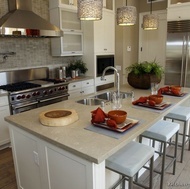 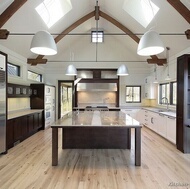 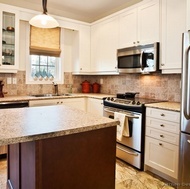 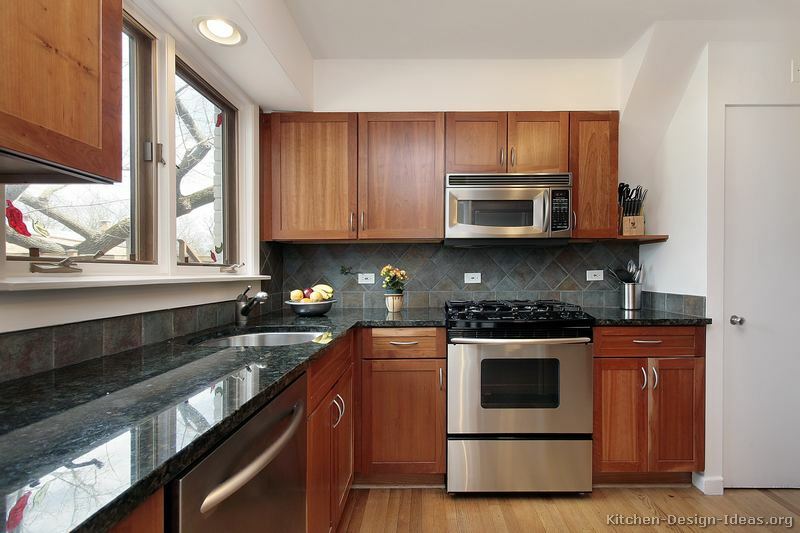 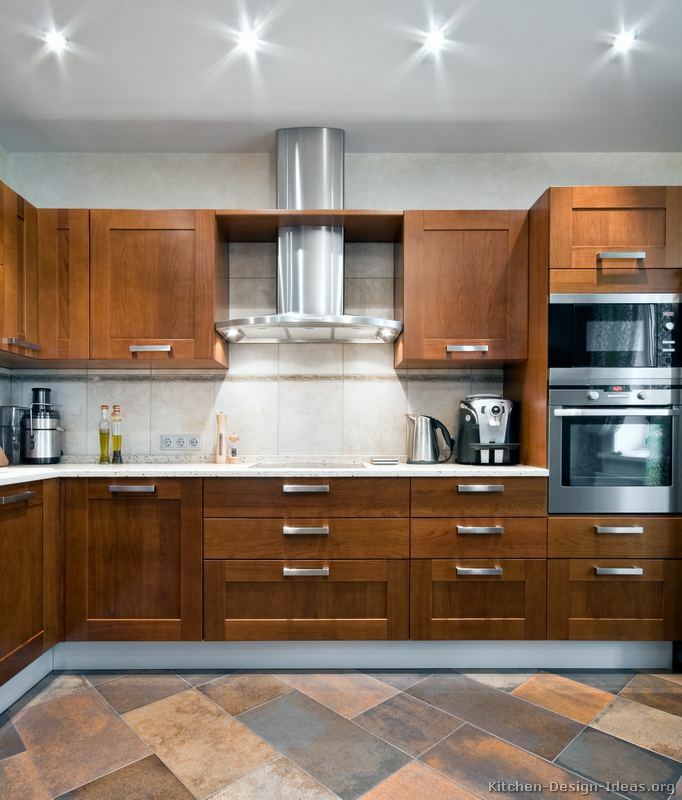 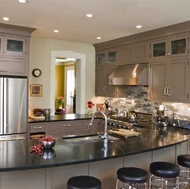 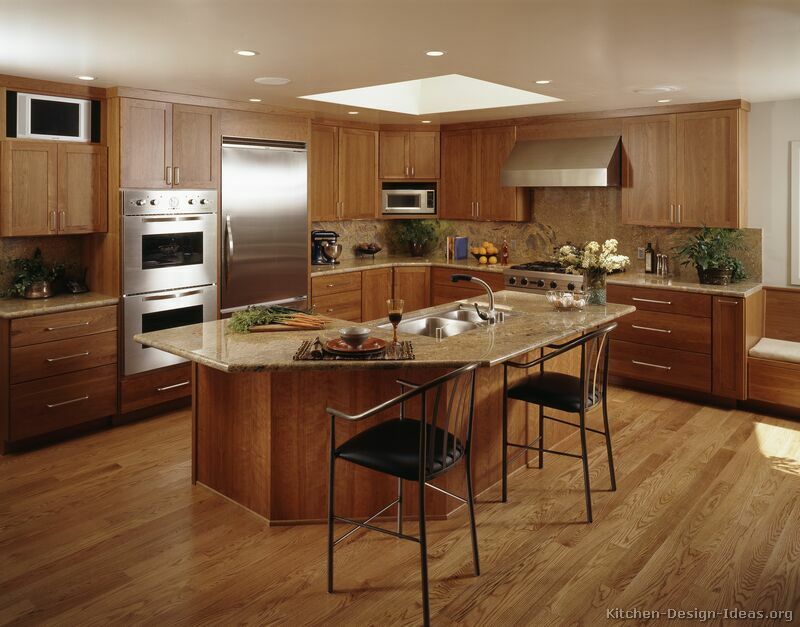 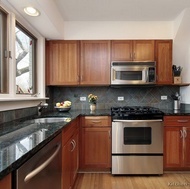 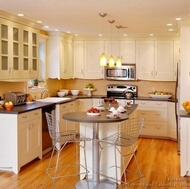 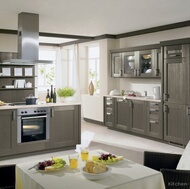 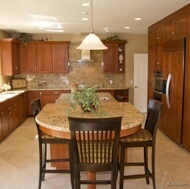 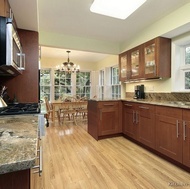 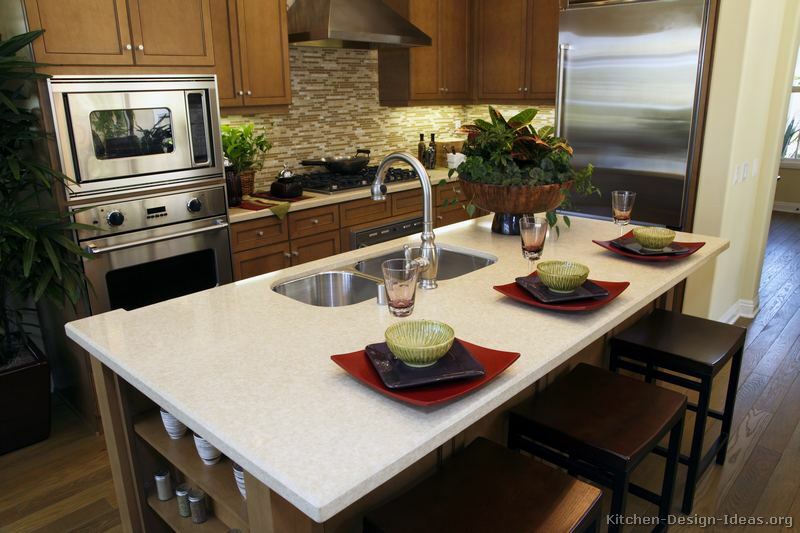 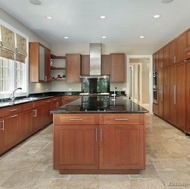 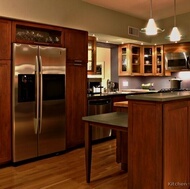 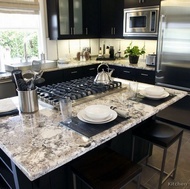 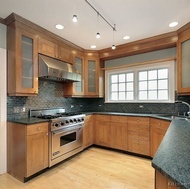 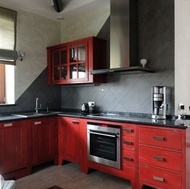 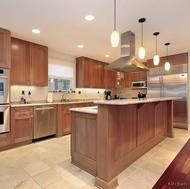 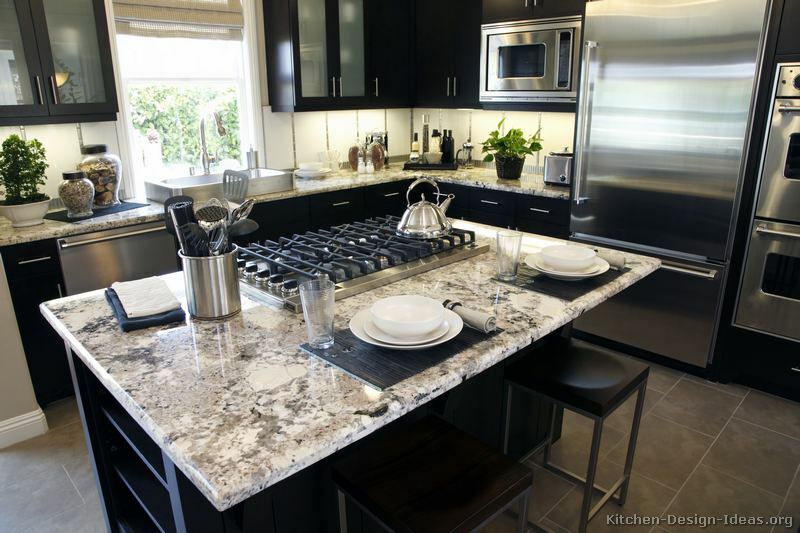 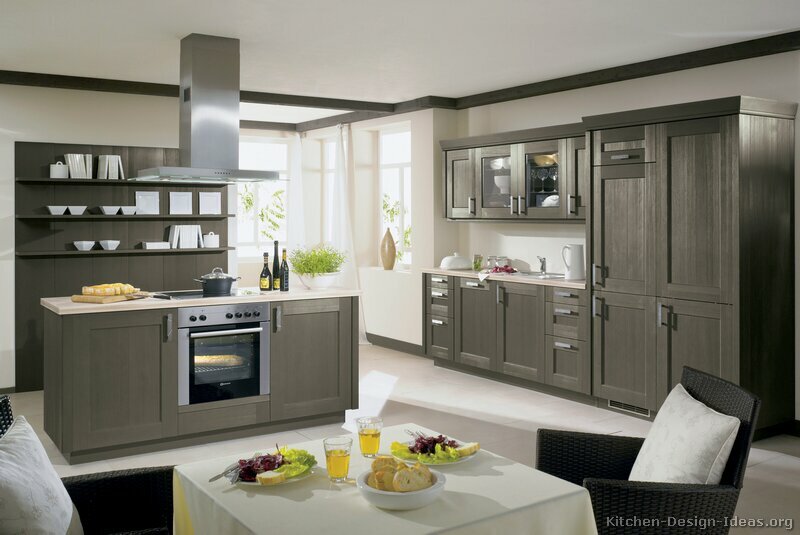 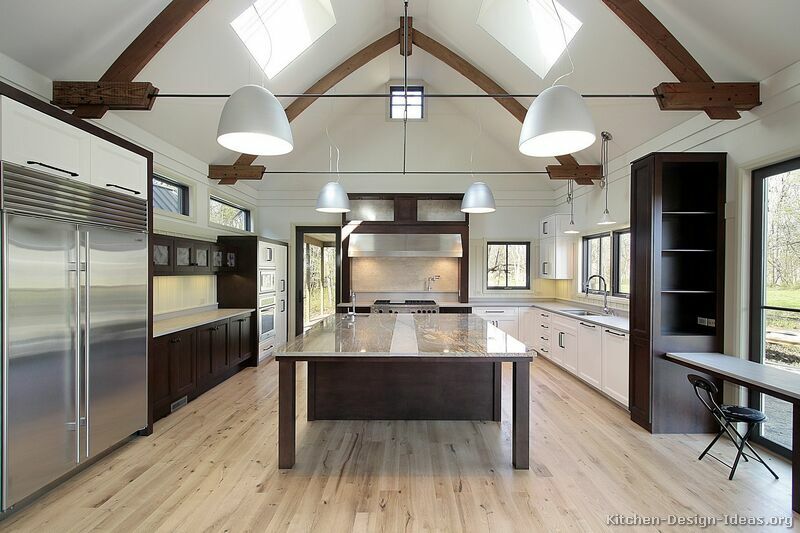 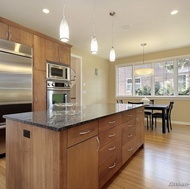 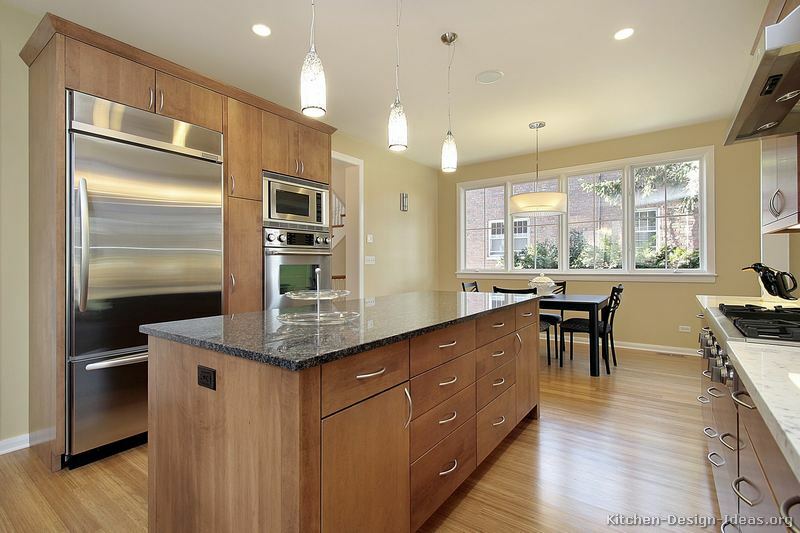 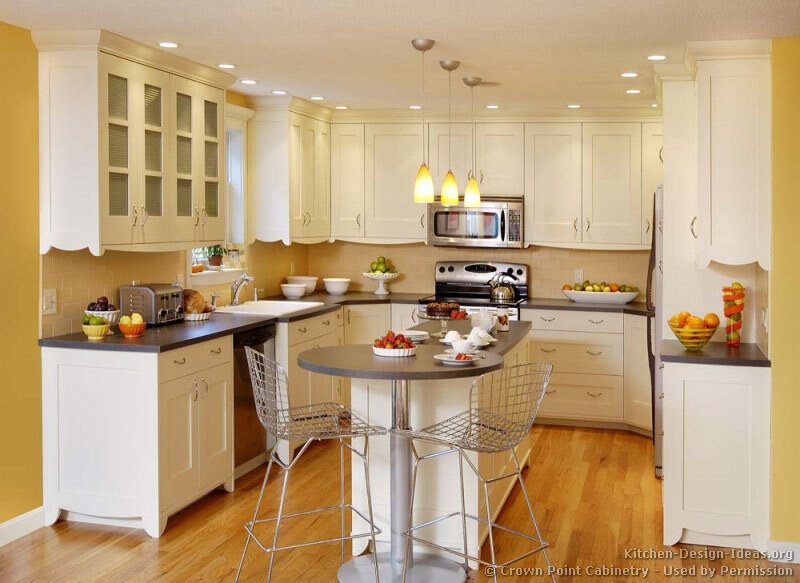 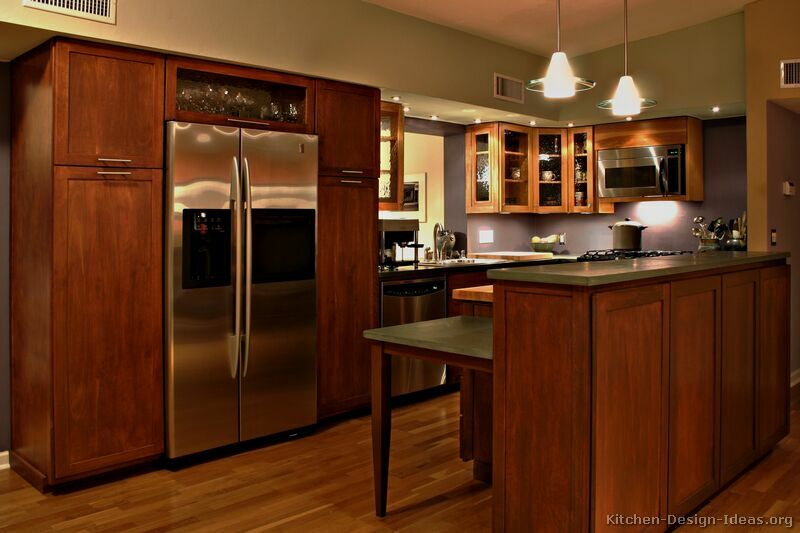 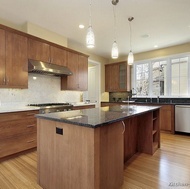 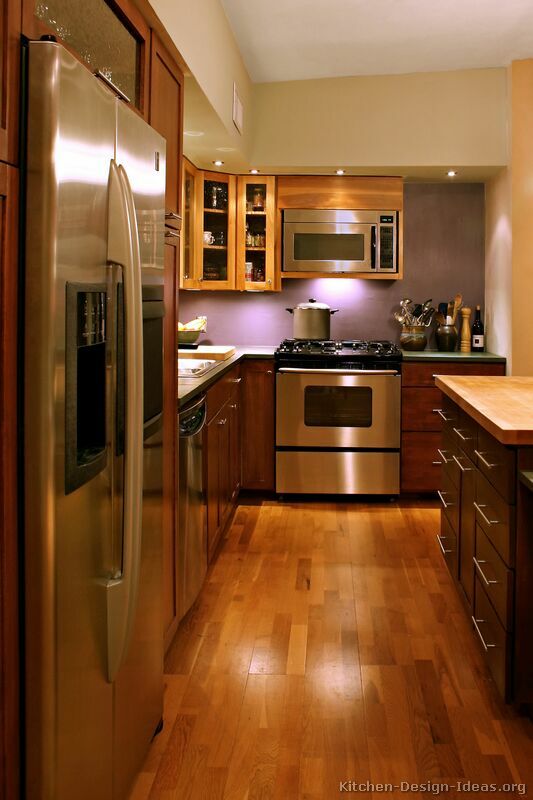 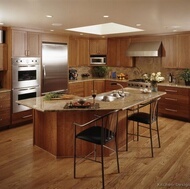 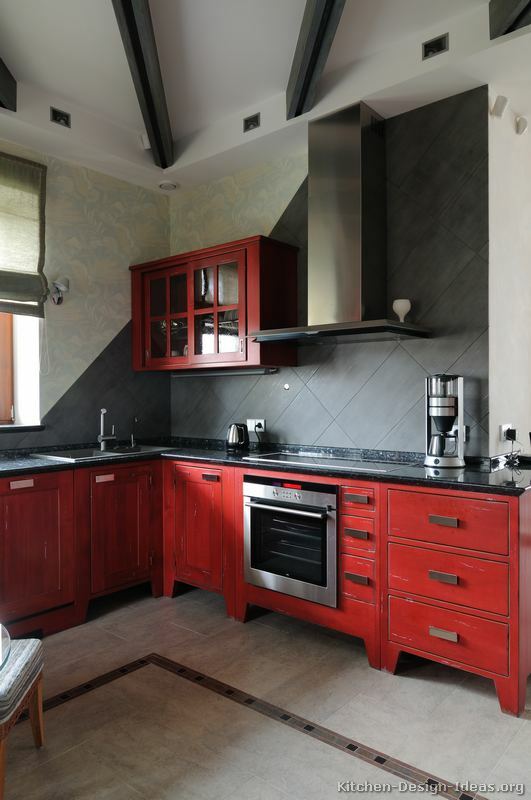 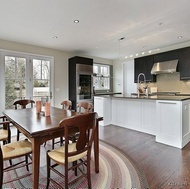 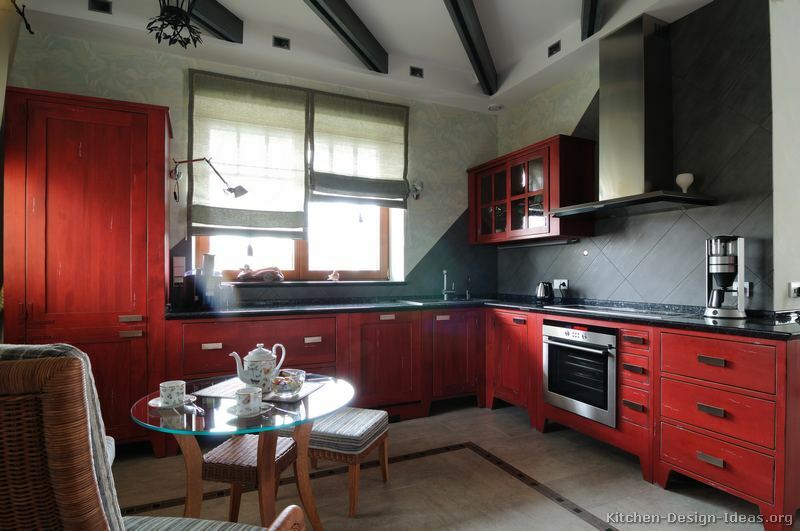 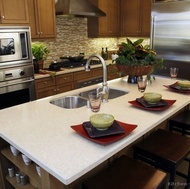 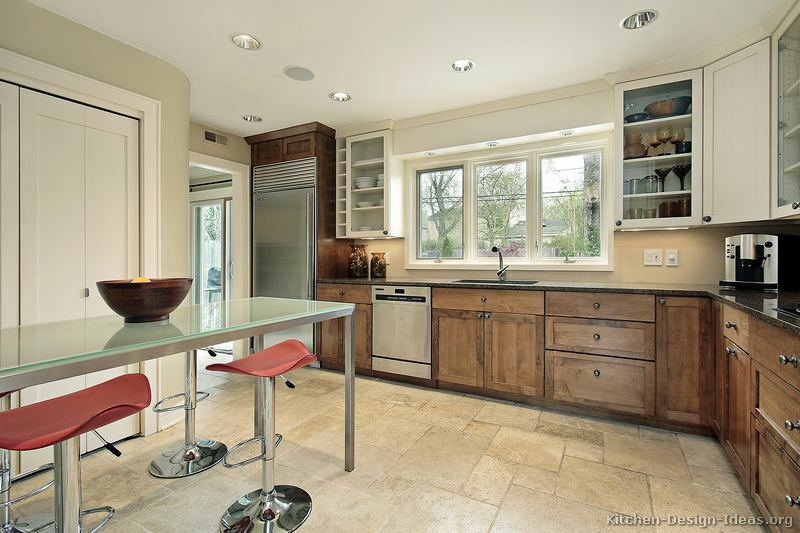 More Kitchen Styles: Return from Transitional Kitchen Design to Kitchen Cabinet Styles for more ideas and inspiration.